Our product range includes a wide range of selvin halwa machine, planitary mixer machine, hot air tray dryer, planitary mixer machine cnm 40, planitary mixer machine cnm 60 and planitary mixer machine cnm 80. 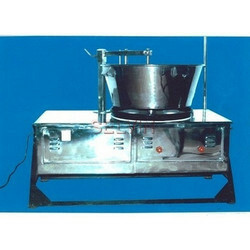 Our company is noted as one of the well known manufacturers and exporters of Halwa Machine. We do not compromise with the quality of offered range, so we use high grade raw materials and latest methodology during the manufacturing of these machines. 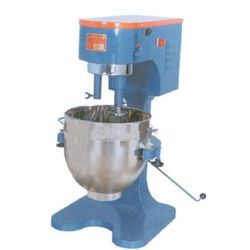 These machines are commonly used in domestic and commercial areas for making delicious halwa. Our offered range of Halwa Machine is robust in construction & requires less maintenance during the operation. The construction of the machine and Gearbox are heavy to ensure smoothly and noiselessly in heavy load. Incorporated with modern features as per industrial standards and requirements, we manufacture & export a wide range of Planitary Mixer. These machines are made using quality stainless steel and modern machines. Due to their robust construction, low power consumption and unmatched performance, these machines are broadly used in bakery industries. With the support of our skilled manpower, we are able to fulfill huge demand of Planitary Mixer in the market. Handsome Design, motor is placed inside thebody. Gear box is made up of High tensile steel hardened to ensure long life, work smoothly and noiselessly even in heavy load. Bowl and standard accessories are well designed and made up of SS 304 (Food grade) stainless steel only. Trouble free operation during demand work conditions in any establishments. You can do mixing, whipping and also kneading. The rotation of the whisk is as a planetary motion (ie) self rotation anti-clock wise and over all rotation clock - wise. This results good spongeing and higher yield. Product Description We have extensive experience in the market that empowers us in manufacturing and exporting a quality range of Hot Air Tray Dryer. 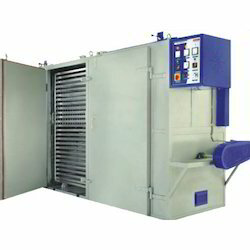 This dryer machine is used to dry wet materials in food and pharmaceutical industry. We use finest quality cast iron and mild steel to manufacture this dryer. To provide a defect free range, we check this Hot Air Tray Dryer on construction and efficiency parameters. We offer this dryer at market leading prices to clients. We are offering Planitary Mixer Machine CNM 40 to our clients. We are offering Planitary Mixer Machine CNM 60 to our clients. We are offering Planitary Mixer Machine CNM 80 to our clients. Holding years of experience and knowledge in this industry, our company has been able to mark its strong presence in the market as one of the most excellent manufacturers & exporters of Hot Air Oven. These ovens are manufactured by us using advance technology and quality base materials at our manufacturing unit. 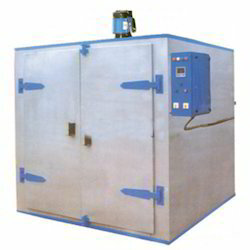 Hot Air Oven is suitable for high forced volume thermal convection applications. Owing to attributes such as stable and high performance & negligible maintenance, these ovens are highly appreciated by our clients. Incorporated with modern features as per industrial standards and requirements, we manufacture & export a wide range of Tray Type Dryer. 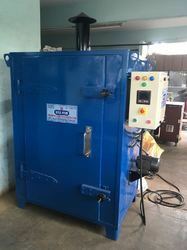 These dryers are manufactured as per industrial standard using quality base materials. Appreciated for their superior finish, dimensional accuracy and high-efficiency, these dryers are suitable for drying different food products. Owing to offering quality range of Tray Type Dryer, we have carved top-notch position in this domain. Apart from this, clients can avail these dryers from us at affordable prices.